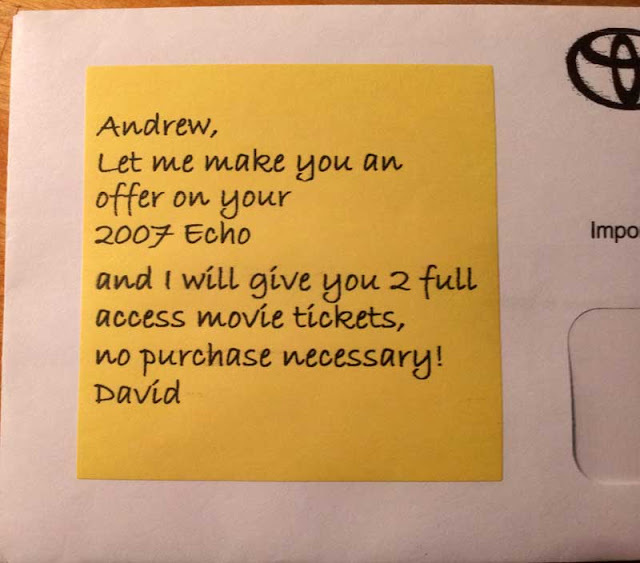 Toyota wants my '2007 Echo' for trade. How are things? 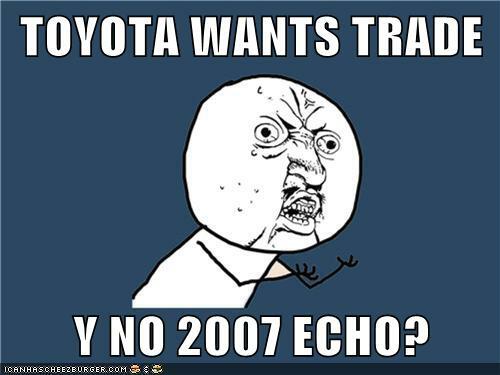 I'm assuming you haven't found too many 2007 Echos coming in for trade since there WEREN'T ANY. That is funny, today I just got a flyer from the local Hyundai dealer looking for our Hyundai 2010 FORTE! They need it for their CPO Hyundai collection. I may be wrong but I think the Forte is still a Kia. I've been receiving letters in the mail for the past 10 months or so from the Toyota dealership where I bought my '07 Yaris back in 2007. Basically, they all say that my dealership hasn't been able to secure many new Yarii from Japan since the earthquake/tsunami, that they desperately need some on their lot, and they'll buy mine back from me at a premium. Anyone else received these? Of course, I've considered their offer. But I couldn't buy anything else with what they're offering. And I've had zero problems with my Yaris in the 5 years I've had it and I actually own the vehicle. A new Mazda CX-5 would be nice, but not having a note every month is even nicer. Duke, I've been getting these kinds of "offers" for years. I've never actually gone in and seen how much they'd offer. I've always thought they're one of those "too good to be true" offers.